Adhesive encapsulitis is a medical term for Frozen shoulder syndrome, which commonly affects between 40 - 70 year old women. It is idiopathic condition but 5 times more common in Diabetes patients. It can affect either shoulder but more common in Non-dominant shoulder. In 1 in 5 people, the condition also develops in other shoulder at some stage. The exact pathology is unclear but it is believed that joint capsule is inflamed, glenohumeral and coracohumeral ligaments are thickened, causing scar tissue around shoulder joint, which leads to contracture and stiffness. It maybe associated with hormonal change as it is more common in woman and in around perimenopausal age. It is self limiting and usually lasts roughly about 2 years. It has been described as 3 phases. 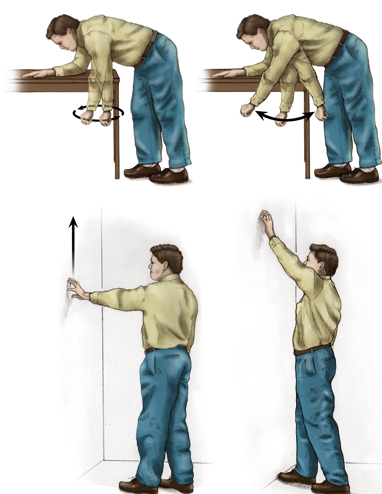 The first symptom is pain, stiffness and gradually loss of range of movement. External rotation is the first range of movement to be affected. Pain is worse at night time when you lie on the affected side. Stiffness and limitation of range of movement are the main symptoms but pain may gradually ease off or may remain. There maybe difficulty with daily basic functioning such as dressing, driving, combing etc. Pain and stiffness gradually improve and range of movement movement returns. Diagnosis is mainly clinical but imaging can be used to rule out other conditions. In early stage, paracetamol and anti-inflammatories are prescribed. 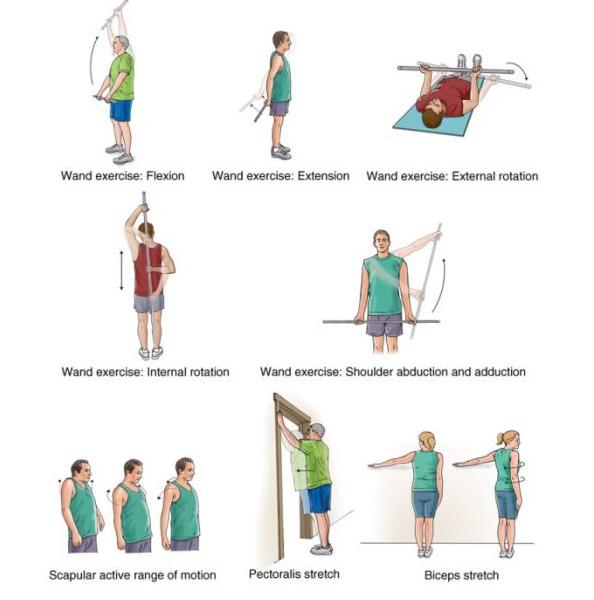 Shoulder exercise plays very important role to break the cycle and stop the stiffness. Corticosteroid injection into Gleno-humeral joint or possibly subacromial space may be effective in controlling pain. large volume USS guided Hydrodilation therapy (20 ml or Normal saline with cortiosteroid) into Glenohumeral joint has become more popular in these days. These injection should be followed by painless physical therapy or shoulder exercise to regain range of movement. TENS machine and Ultrasound treatment have also been used. Surgical measures such as arthroscopic capsulotomy and Manipulation under anasthesia may be required but not common anymore.